About six years ago, I read a book that really affected me. I couldn’t stop thinking about it. That book was The Shack . Literally, for weeks after finishing the book, I had that book on my mind. It made me think differently about things. I haven’t had the pleasure of reading a book like that since…until now. 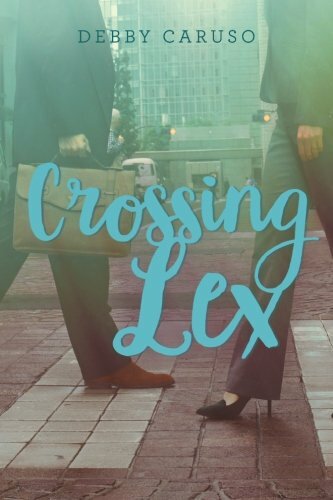 Crossing Lex , by Debby Caruso is a must read, true love story and one of those books that will stick with you, well after you read the last page. We all have those memories that seem to pop up when we least expect it. Those moments in time that seem to shape us as a person. The picture that Debby Caruso paints of the main character, Danielle, is amazing. 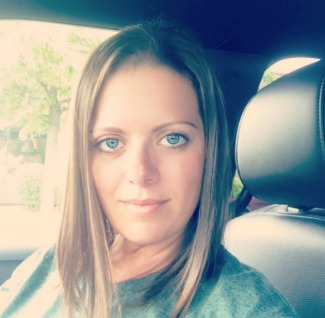 You immediately connect with Danielle and are willing her to push past her demons and have that true love story she is so desperately seeking. Part way through the book, I started to suspect the ending. Sometimes that annoys me with books. Not with Crossing Lex. With this book it made me want to continue reading all the more. I think part of me was hoping I was wrong. The last few chapters will have you holding your breath as you read them. The imagery Debby Caruso’s words invoke is excellent and leaves you wanting more. As an aspiring author and a lover of books, getting the opportunity to speak with other authors is a dream come true. No one understands my passion for books and writing like an author! While I couldn’t sit down face to face with Debby Caruso, the author of the book Crossing Lex , I did have the opportunity to ask her a few questions about her new book! Enjoy! I’m a 45-year old Native New Yorker who loves every little thing about NYC. In “real life” I am a Pilates/Fitness Instructor and I am also an avid swimmer for my own fitness and sanity. How did you get started in writing? How did you break into the publishing world? I have been writing forever, and telling stories from the moment I could talk. I am also a voracious reader and have read a book almost every night of my life. When I was 35 years old, I took an acting class for the first time and then I began writing for stage. I have developed work and love writing various mediums. As for the publishing world: I took the initiative and went about getting my work into the public forum via Create Space. Do you outline your books first or are you a seat-of-the-pants writer? I’m not an outliner, though I would love to be that kind of writer. I generally start with a string of ideas and then move forward as I know where I’m going. I find motion helps me to move forward with plot; as crazy as it sounds, I often “write” in my head while I swim. Tell us a little about Crossing Lex. How did you come up with the idea for this book? Crossing Lex was the book that I felt I had to write after working in NYC for a decade. I actually left a job much like Danielle’s (the main character) in order to write full time. How do you deal with the dreaded writers block? I don’t experience that often…Thank God! I do get frustrated and walk away at times, but the story always calls me back. If Crossing Lex were to be made into a movie, who would you want to star in it? That’s a tough question…when the story ends, Danielle is 30. So a younger actress would fit the bill, but I don’t have anyone specific in mind. Can you recommend any up and coming authors to us? I don’t think of her as ‘up and coming’ any more, but Emily Bleeker is still new on the scene and I like her…tried and true favorites for me are always Susan Isaacs and Harlen Coben. WHAT FREE TIME?! LOL…well…let’s see…I am an avid reader. I love swimming, preferably outdoors. I’m crazy about the ocean. My dog is the best and I could walk with her for hours. All that and I’m a huge foodie. I love trying new restaurants, cuisines, recipes…you name it. I have a few things in the works. Originally, I thought Crossing Lex was going to be a stand-alone novel, but now Danielle is talking to me, and she doesn’t seem ready to let go just yet…so I’d bet on a sequel. Thank you Debby Caruso for taking the time to speak with us! I totally know what you mean about “writing in your head” while swimming. When I was in high school, I was on the varsity swim team and I did all of my best thinking during practice. Not much else you can do when you are swimming back and forth for two hours! Be sure to pick up your copy of Crossing Lex by Debby Caruso on Amazon today!